Full support for Solid, STL and extruded Geometry type tooling and Turrets. 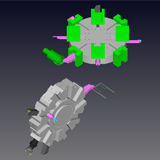 Support for Rotary, Linear and tool changer type turrets, multiple turret and spindle support with full synchronization and simulation. B and Y axis support. • The ability to do 3D machining in the background. • Abort a 3D machining process. Several 3D machining operations can now be processed at the same time. 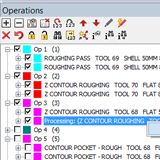 The operations tab shows which are being processed and the user can now abort and then edit parameters and restart. 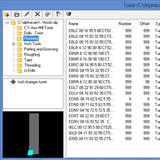 Improved dialog to remember/store the size of the columns and how they were sorted (name, number, type, etc) Common Dialog across all modules, Additional Columns to support both Milling and Turning Tool information. 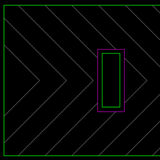 Tools can also be selected from loaded turrets. 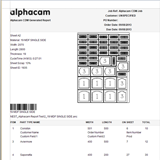 The Alphacam Report Engine is now supported in addition to existing CDM Reports. Bespoke reports and labels can now be created to display CDM specific data. • Run a generic custom VBA macro for each part that is processed. • The ability to copy contents of one CDM order to another. The ability to “trim” a fitting file using another fitting file. Components such as doors with machined grooves can be trimmed using a different fitting file (such as an aperture or letter plate) with a variable distance. This reduces unnecessary machining, and allows a flat area to be created for the ironmongery to be attached.